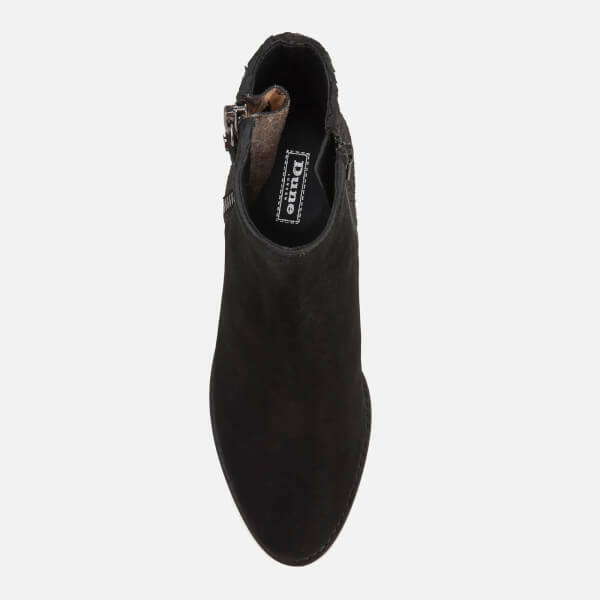 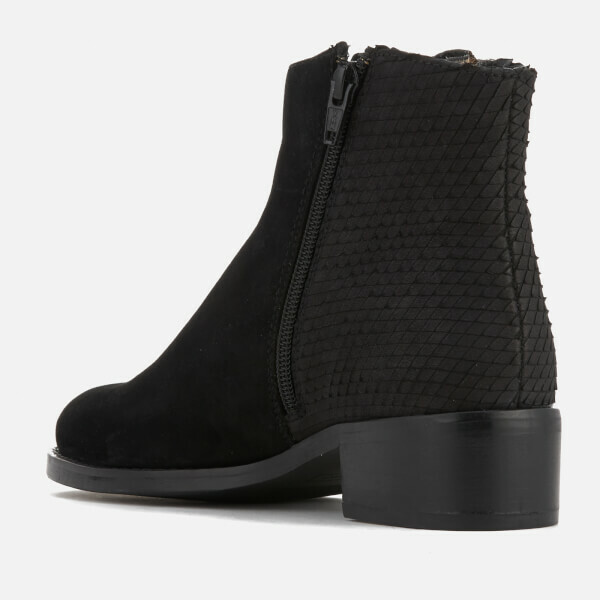 Women’s black suede ankle boots from Dune. 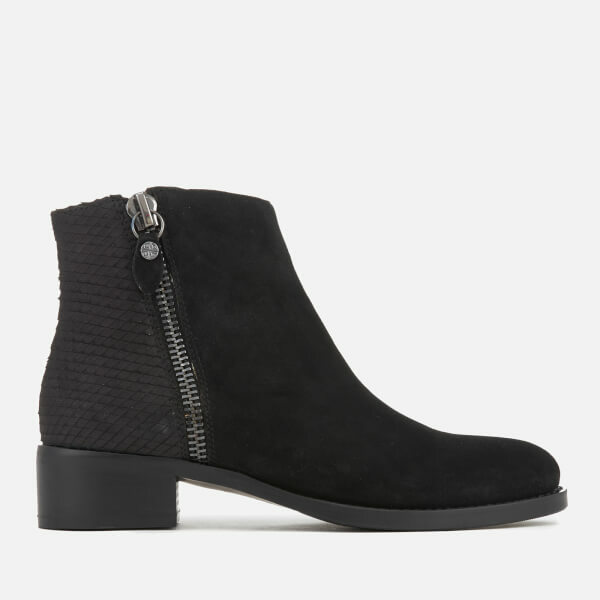 Crafted with smooth suede uppers, the ‘Prise’ slip-on ankle boots are detailed with diamond textured suede on the heel, an outer zip with a leopard print gusset and a pointed toe. 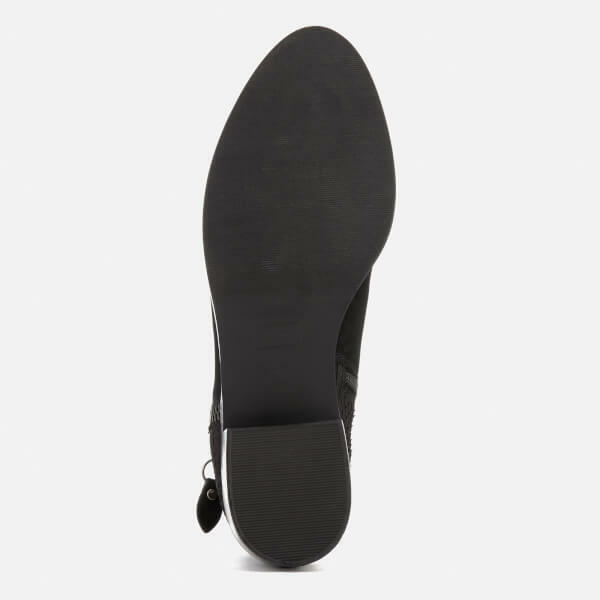 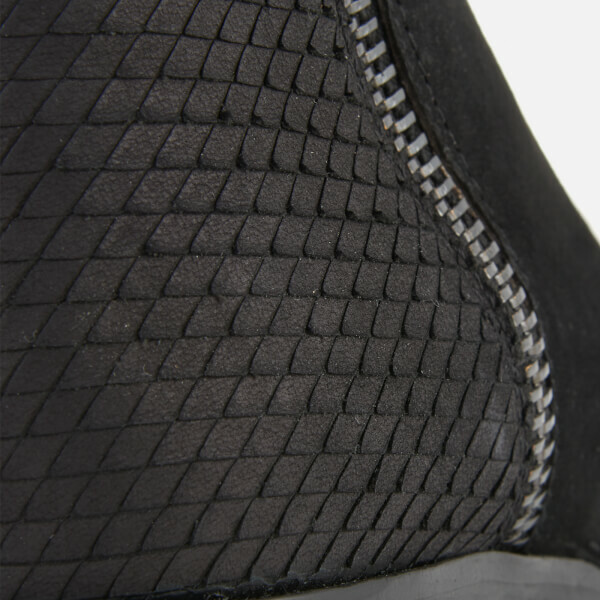 Set on a tonal sole with a small heel, the boots are finished with a leather zip pull with logo detail.